The global climate is indeed changing, but not everyone is equally affected by it – or bothered about it either. Take, for example, the majority of India’s 300 million+ middle class, which is roughly the size of the entire population of the United States. According to environmental activist and independent film-maker Pradip Saha, it’s not a question of ignorance, but apathy. “Our educated middle classes understand what’s happening, but they are also big contributors to the problem – with their frenzy to burn oil and coal. They look for any excuses for not acting on this issue,” Pradip said during a recent regional workshop in Tokyo, Japan. The Asia Pacific workshop on ‘Changing Climate and Moving Images’, held in Tama New Town, Tokyo, was organised by TVE Japan in collaboration with TVE Asia Pacific and supported by Japan Fund for Global Environment. Pradip, associate director of the Centre for Science and Environment – a leading research and advocacy organisation – has been tracking climate change issues for two decades. He sees this Big Issue in three ways: science of climate change, politics of climate change and feelings of climate change. To fully understand how the complex Indian society perceives and responds to the climate crisis, all three dimensions need to be studied, he says. And particular attention must be paid to the plight of those who are already experiencing changes in their local climate. Many such affected people may never have heard of climate change. They are bewildered by rapid changes in rainfall, river flows, sunshine and other natural phenomena. Pradip drew an example from the Sundarban delta region in the Bay of Bengal. With 10,000 square kilometres of estuarine mangrove forest and 102 islands, it is the world’s largest delta. Here, some islands are slowly being eroded and submerged by rising sea levels. Three small islands have already gone underwater. Others are experiencing problems of salt water intrusion, posing major difficulties for the local people. 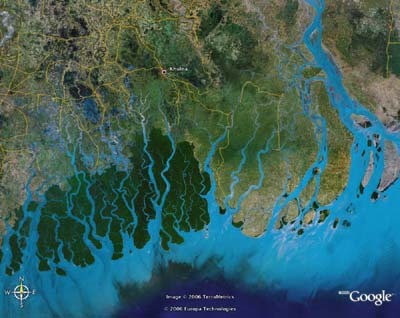 Analysis of surface data near Sagar island in the Sundarbans reveals a temperature increase of 0.9 degree celsius per year. Experts are of the opinion that this is one of the first regions bearing the brunt of climate change. But the islanders – like most other poor people in India – don’t have enough or any voice to express their concerns to the policy makers, civil society groups and captains of industry. For these members of the middle class, the Sundarbans mean just one thing: the Royal Bengal Tiger. And most of them probably have never heard of Sagar island. They might just shrug it off, saying: It’s Not In My Backyard (NIMBY). During the past few months, Pradip has been filming on these islands trying to capture the unfolding human and environmental crisis. He was inspired by an investigative story that appeared in early 2008 in the Down to Earth science and environmental magazine where he is managing editor. 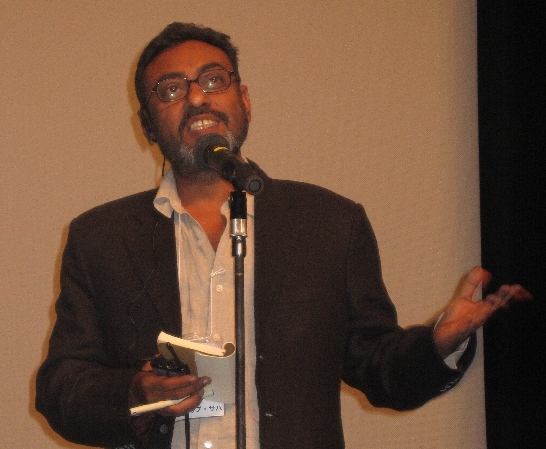 Pradip screened the 64-minute long film, aptly titled Mean Sea Level, at our workshop. The few of us thus became the first outsiders to see the film which I found both deeply moving and very ironic. With minimal narration, he allows the local people to tell their own story. There’s only one expert who quickly explains just what is going on in this particularly weather-prone part of the world. Confronted with middle class apathy and indifference, activists and journalists like Pradip Saha face an uphill task. “Knowledge is not turning into action because those who know (about climate change causes and responses) are also the biggest culprits,” he says. To make matters worse, government policies are not formulated with adequate public consultations. Sections of central and state governments in India have also started responding to individual effects of climate change without understanding the bigger picture. Such piecemeal solutions can do more harm than good. Then there is India’s obsession with motor cars – a topic on which Pradip has already made a short film. Pradip’s views on climate change activism in India resonates with those of the Filipino academic-activist Walden Bello. Speaking at the Greenaccord international media forum in Rome in November 2007, he called for a mass movement at the grassroots across the developing countries of the global South to deal with climate change – the biggest environmental threat faced by the planet today. As I quoted him saying, such a movement might be unpopular not only with the Southern elite but also with sections of the urban-based middle class sectors that have been the main beneficiaries of the high-growth economic strategy that has been pursued since the early 1990s. Moving images moving research…beyond academic circles! Although I’ve dabbled in some media research at times, I don’t think of myself as a researcher. 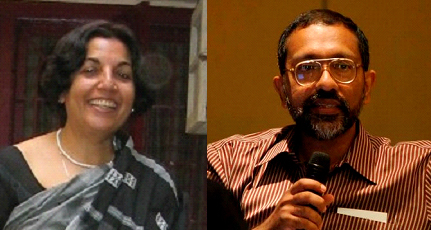 So when Sri Lanka’s Centre for Poverty Analysis (CEPA) invited me to speak at their 8th Annual Symposium on Poverty Research in Sri Lanka, I spoke on what I know a little bit about — communicating research using the audio-visual media. My panel remarks, delivered on the morning of 30 November 2007, were on ‘alternative mediums of communication to influence change’. I opened with the provocative title “Hands up who is poor, speaks English – and looks good on TV!” (see separate blog post on media related aspects of my talk). These days, so much of research in physical, biological and social sciences is justified in the name of poverty reduction. Yes, studying and understanding development problems is the essential first step of solving them. But without properly communicating this research, the results won’t help the poor — or anyone else. We at TVE Asia Pacific are committed to covering Asia’s development issues using TV, video and web. Our small challenge is to capture the many and varied facets of how Asians are working for a better today and better tomorrow. Reducing and eventually eliminating poverty is a significant part of that process. As Asia’s billions strive for better lives, there are millions of stories at the bottom of the income pyramid. But most mainstream media manage to miss these stories due to their ignorance, or arrogance, or both. For us, one key source of information and analysis is researchers – people who study trends and conditions, and keep reflecting on how and why. Their knowledge and insights are invaluable for us to tell stories from and about the bottom of the pyramid. I cited three recent examples where we had produced engaging TV/video content to communicate research directly relevant or related to the poor. Digits4Change was our attempt to understand and document how information and communication technologies (ICTs) are changing the way Asians live, work and play. We covered technologies such as Internet, computers, mobile phones and satellite communications applied in education, healthcare and rural business development. The knowledge base for this 2006 series came from IDRC’s Pan Asia programme which supports action research that addresses specific problems. Also in 2006, we produced The Greenbelt Reports to take a close look at the environmental lessons of the Indian Ocean tsunami. We visited a dozen locations in India, Indonesia, Sri Lanka and Thailand to find out how community and conservation interests can be balanced in relation to coral reefs, mangroves and sand dunes. In telling these stories, we worked with researchers from global agencies like IUCN the World Conservation Union and UNEP as well as national organisations like the M S Swaminathan Research Foundation in India. Living Labs is our most recent series, released in March 2007. Filmed in 9 countries in Africa, Asia, Europe and Latin America, it looked at how researchers are addressing different aspects of a major challenge in agriculture: how to grow more food with less water. We worked with a global action research project called the CGIAR Challenge Programme on Water and Food, which gave us exclusive access to their on-going field work and emerging findings in nine major river basins of the developing world. •	We don’t set out trying to communicate messages; we just want to tell good stories and development communication is a by-product. •	We look for under-reported/ignored development issues, or a less covered angle in a widely reported story. •	We don’t just talk to technical experts but to many other individuals involved or affected – women, men and children from all walks of life. •	We seek and accommodate different points of view, not allowing single-issue activists or one source to dominate/monopolise a story. •	Our finished products are informed by science but never immersed in science – we always keep in mind that our audience is non-specialsits. All our stories cover real people dealing with real world issues and challenges. And since Asia has more people living in poverty than anywhere else in the world, most of the time our stories concern what’s happening at the bottom of the pyramid – or what can directly impact people living there. And without exception, all these TV series and individuals films are available free of any license fees for broadcast, civil society and educational use. They are also available for online viewing at TVE Asia Pacific’s channel on YouTube. Communicating research through moving images is not easy. Packing years of hard work into a few mins of engaging visuals and narration involves ruthless condensation which sometimes leaves some researcher egos bruised. When covering the work of large research organisations, we’ve also had deal with internal politics and hierarchies: for example, what to do when a junior researcher is more authentic and articulate than her supervisor? 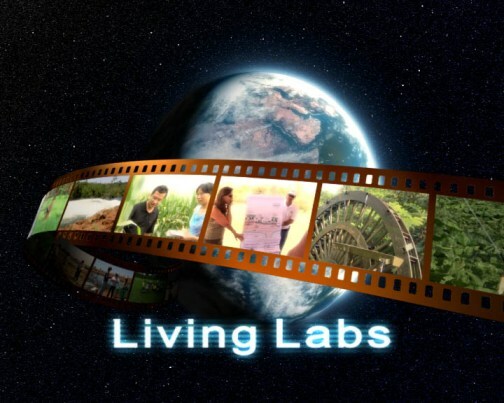 Producing Living Labs based on filming in 9 countries on 3 continents in just 5 months during 2006 was a challenge in both logistics and political negotiations. As editor-in-chief, I had to balance the public accessibility of our end product with researchers’ keenness to pack their stories with facts and figures. We didn’t please everyone. One senior researcher told us that his multi-faceted, multi-year nad multi-million dollar was like an elephant — and we’d only glimpsed just one part of that big creature! That’s just the point: we can never cover the whole elephant in a media product intended for non-specialists. So we choose which part of the elephant is most interesting and present it in a way that will make viewers realise — and hopefully, appreciate — that there’s a lot more that’s worth finding out. Moving image products often act only as ‘teasers’ — communicating highlights of research, and directing those interested to online or offline sources that offer more information. Because they act as a/v versions of executive summaries, these ‘teasers’ by themselves are a powerful way of reaching out those who are unlikely to look up the details: that includes many policy makers, government officials and business people. Winston Churchill used to ask his staff to give him everything ‘on one page’. These days, he might have asked for everything to be summed up in a five minute video — as we often do.